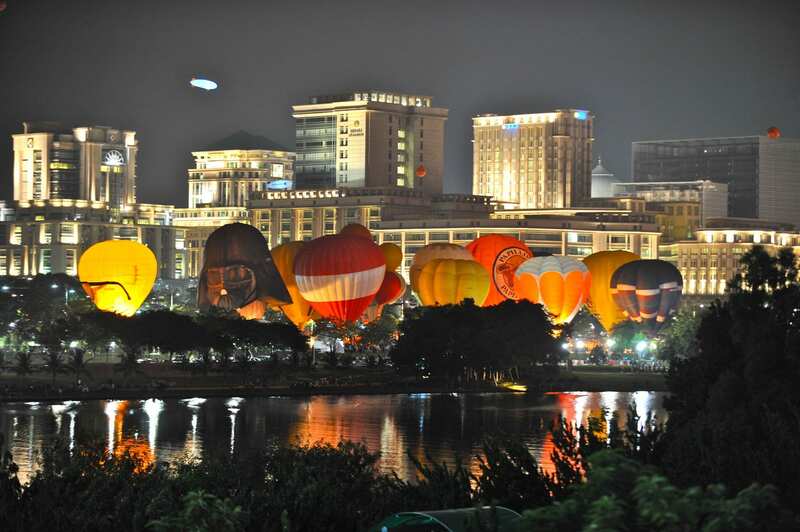 This March, the annual Putrajaya International Hot Air Balloon Fiesta once again makes its way to Precinct 2. During this free-for-all event, 20 hot air balloons in a diverse range of shapes and colours from various countries will be on display. Expect to be blown away (haha) by one-of-a-kind balloons like the tako-shaped (octopus) one from Japan and a robot-shaped hot air balloon from Brazil and more. Tuck into a gourmet buffet breakfast while you enjoy live jazz performances against a backdrop of hot air balloons soaring into the sky. Throughout the day, you will be kept entertained with fun activities such as pedal go-kart (RM15), wall climbing (RM15), beca royale (RM40) and more. To keep visitors happy and their stomachs filled, there is also a host of food and beverage stalls set up in the area. As night falls, catch the hot air balloons bobbing to the beat of music as they light up the night in a mosaic of colours. 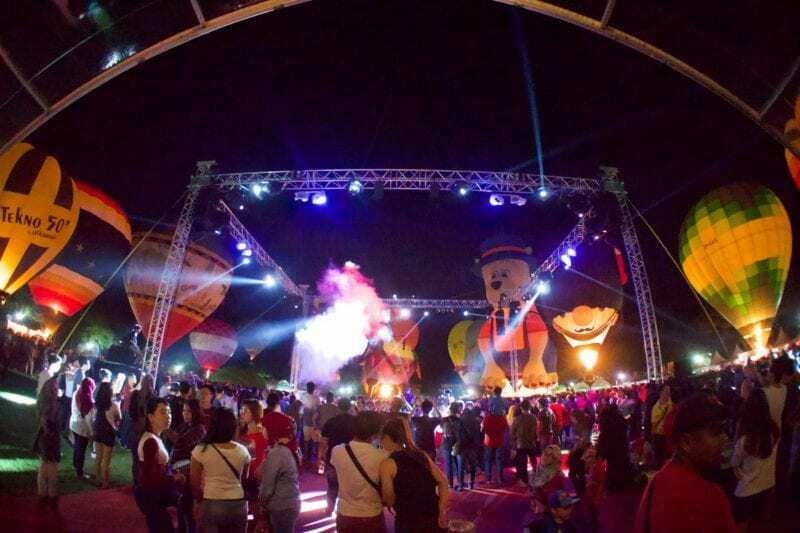 To learn more about the event line-up and the cost of tickets, hop over to the MyBalloonFiesta page. Also, keep your eyes peeled for promo codes onsite to get a discount for your tickets! For those of you who have travelled long and far to Putrajaya for the Hot Air Balloon Fiesta, why not make the most of your trip by incorporating other activities into your itinerary? Putrajaya has so much more to offer other than its annual Hot Air Balloon Fiesta! 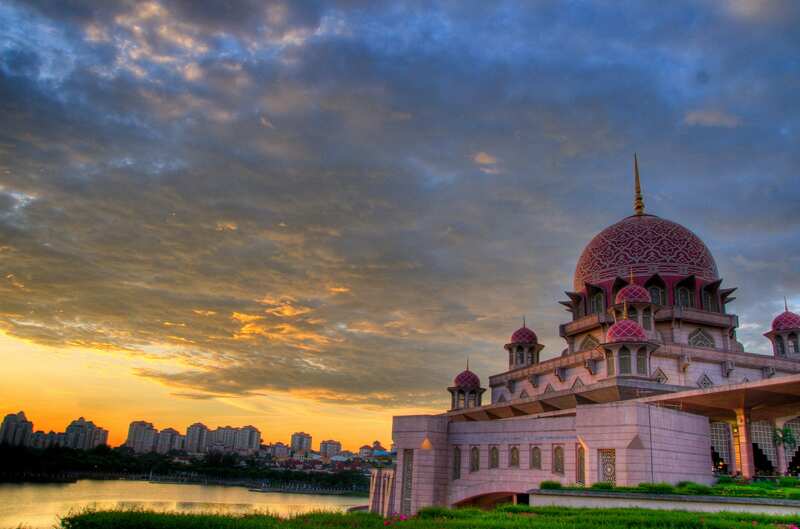 Modeled after Persian Islamic architecture from the Safavid dynasty, this pink-domed beauty is where most Muslims in Putrajaya go to worship. The mosque is constructed with rose-tinted granite which give it its iconic pink hue. If you think the exterior of the Putra Mosque is a sight to behold, wait till you set foot within its premises. 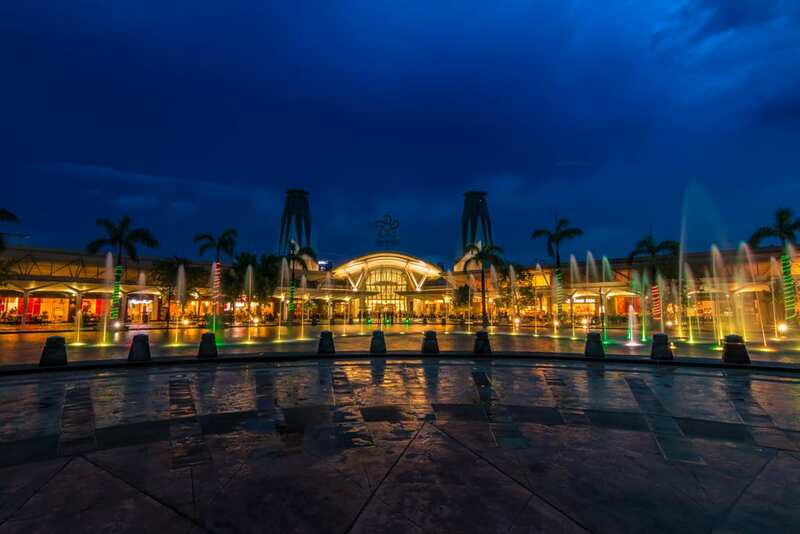 Block off a one-day slot in your itinerary as you’ll surely spend an entire day getting through the 160 retail stores at Alamandra Putrajaya. From boutiques to cosmetic stores and outlets selling gadgets, shop your fill here! 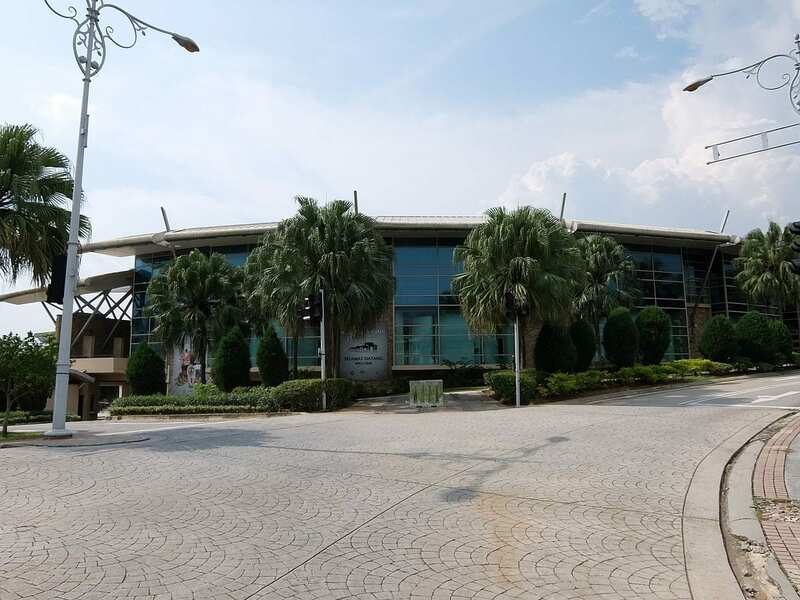 The Natural History Museum of Putrajaya houses relics of Malaysia’s natural heritage like plants, endangered animals, fossils, minerals and rocks. Its highly informative exhibits will shed light on the natural treasures of Malaysia that you never knew about. Plus, while the exhibits are very informative, it is also pretty easy to understand. This makes it a perfect destination even if there are children in your party. 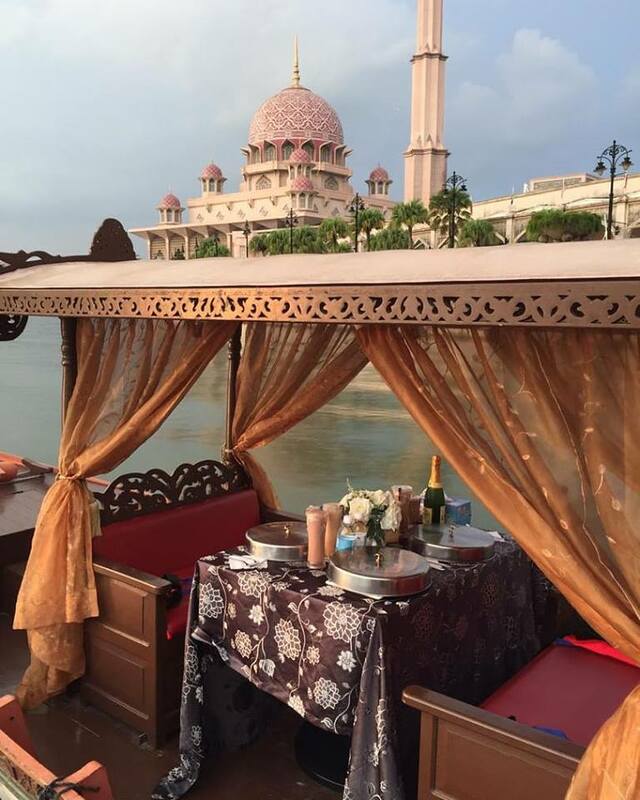 See Putrajaya in a different light when you take a lake cruise around Putrajaya Lake. There are half-day tours on Expedia that take you on a scenic drive around Kuala Lumpur before setting out on a cruise of the lake to look at the picturesque landmarks like the Putra Mosque and the Perdana Putra. We recommend that you take the afternoon tour. You’ll thank us when you’re almost at the end of your 4-hour tour and are cruising on the lake at sunset. The Putra Mosque at sundown is truly spectacular. The Moroccan Pavilion was built as a symbolism of the strong ties between Malaysia and Morocco. 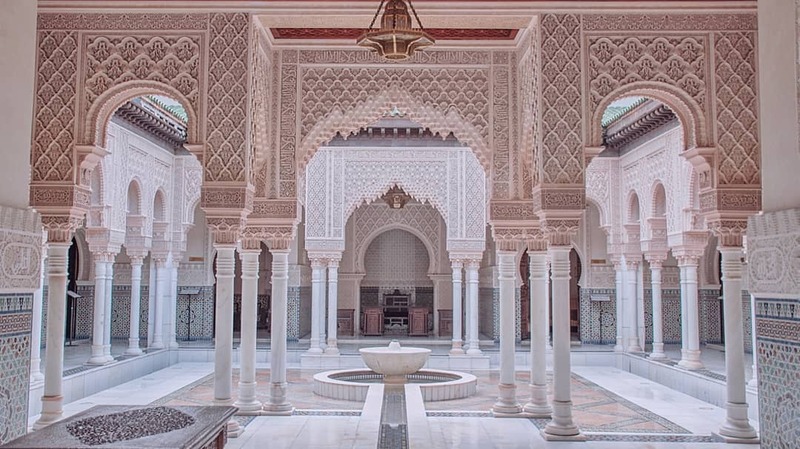 Its breathtaking architecture, multi-coloured terracotta tiles and ornate walls adorned with Islamic calligraphy comes together to bear a likeness to architectural wonders in Morocco itself. The intricate craftsmanship that goes into the building of the Moroccan Pavilion is surely something to be admired. Bring along a camera to snap some Insta-worthy shots while you’re there. 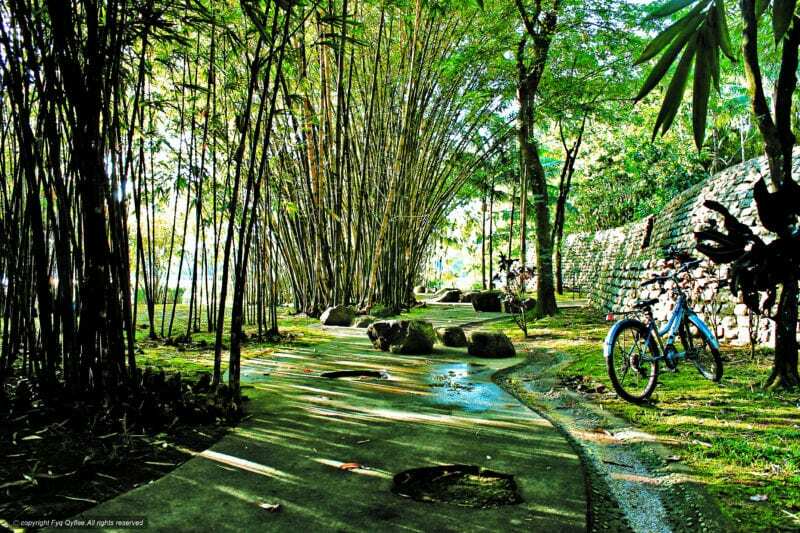 Be whisked away from the concrete jungle of the city and transported into a world of greenery (quite like a scene from a Studio Ghibli film) that is the Putrajaya Botanical Gardens. Known for being the largest botanical garden in the country, Putrajaya Botanical Gardens has five gardens — each with a different theme — that you could lose yourself in. Take a stroll above the treetops on the Canopy Bridge or gaze upon the sparkling Putrajaya Lake from the boardwalk — if you’re an outdoorsy person, it’s likely that you’ll spend the better part of the day here. 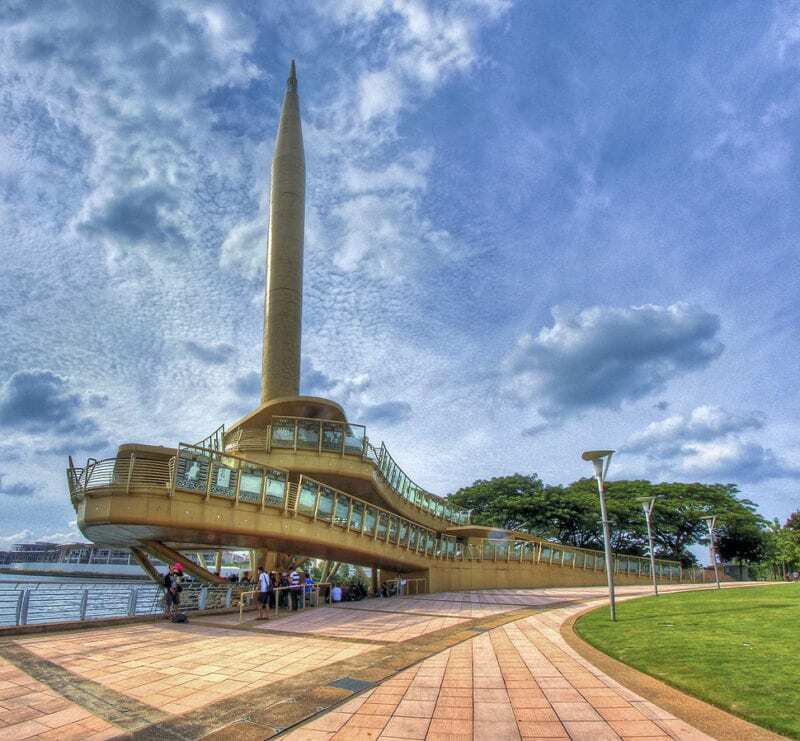 The Millennium Monument is a significant monument that illustrates the history of Malaysia. As you make your way along the walkway of the monument, you’ll pass by a series of engraved glass panels, each detailing key events that has occurred over the years. You’re literally going on “a trip down memory lane”. Get your fiesta tickets online! Here’s your chance to ride on a hot air balloon and look upon your homeland like you’ve never seen before. Destress by checking yourself into one of these hot springs in Malaysia. Are You Really Saving Money with Grab and Uber Promotions? 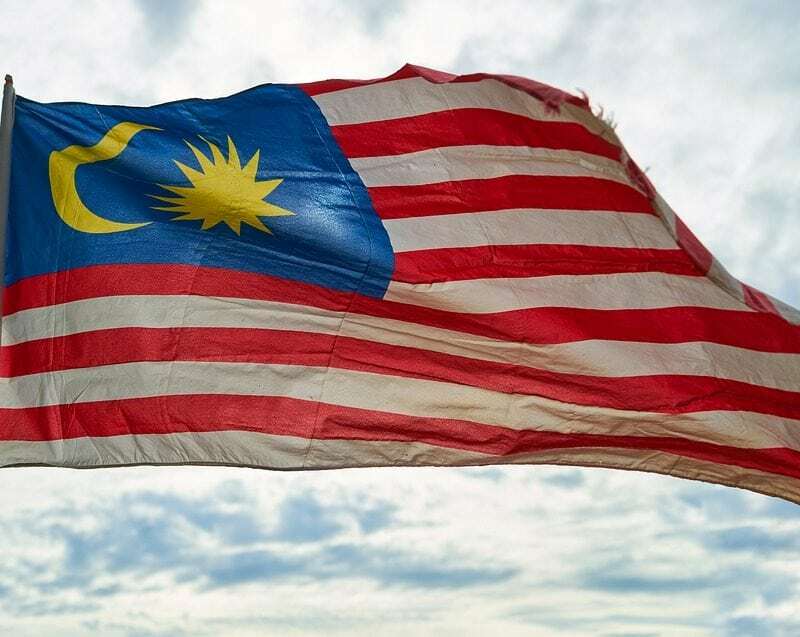 Get the best sales and promos on Malaysia Day. ShopBack © 2018. All Rights Reserved.